Looming Price War on Autosomal DNA Test Kits? 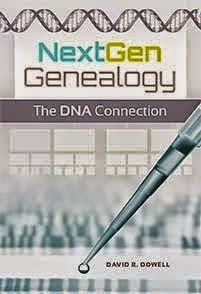 "We want to thank NBC for their support of this terrific series, which over the last three years has inspired many viewers to follow their passion to learn more about who they are and where they come from," said Tim Sullivan, President and CEO of Ancestry.com. "We have a great partnership with the show's producers, Is or Isn't Entertainment and Shed Media, and we look forward to exploring other avenues of distribution." Labels: Ancestry.com, NBC, Who Do You Think Your Are? Heartbroke! LOve that show, sure hope they find another sponsor! !